Massachusetts MD, William Hallstein makes precisely the point in this well-aimed missive. This letter written by William Hallstein, MD, a practicing psychiatrist with over 40 years of experience, was delivered to the Falmouth Zoning Board of Appeals. Dr. Hallstein is also a resident of Falmouth Massachusetts. In his letter he explains the very real impact the Falmouth turbines on human health. I am submitting this letter for your consideration as you contemplate the matter of whether or not to issue a permit for the wind turbines. In way of introduction I am a psychiatric physician and Falmouth resident since 1970. This year I will have been practicing medical psychiatry for 49(forty nine) years. Consultation/liaison psychiatry has been my focus. This means sorting out diagnostic questions about intertwined medical/psychiatric illnesses, the most difficult diagnostic questions in medicine, whether in a general hospital, locked psychiatric unit or maximum security prison. I will be brief and to the point as I explain why I urge you to deny a permit for the Falmouth wind turbines. The human nervous system is the most sensitive instrument available to date for evaluating the impact of the Falmouth wind turbines on residents who live close to them. The ONLY experts in the discussion are the people who are sensing the sound, vibrations, pressure waves, etc emitted by the turbines. There is no one more “expert” than these people. No so called expert has either equipment nor information more accurate and sensitive than the affected residents’ nervous systems. NO instruments more sensitive than people have been invented! Others who claim to be experts are peddling smoke and mirrors in an effort to invalidate and discredit the affected residents. Also, other turbines in other places are not the issue, since local topography must be considered. The impact of the Falmouth wind turbines on Falmouth residents who live nearby is all that is relevant. I believe they are definitely hurting people living near them and encourage you to NOT permit the turbines, now, long after they were constructed illegally. Over the past few years I have spent significant amounts of time in the vicinity of the turbines in an effort to understand what the affected residents are describing. My findings were unanticipated and surprised me. I was not prepared for the intensity and intrusiveness of both sound and vibration felt consistently and repeatedly throughout the years of my studying the phenomena on location. I recall my introduction to the sound of “low flying jet airplanes” overhead loud enough to interrupt conversation; and, of course, the “planes” kept coming one after another in endless sequence with each rotation of a turbine blade!!! I was searching the sky looking for the aircraft when my eye caught the turbine blades, and then it all made sense, of course; no aircraft in sight, only Wind I blades. Later on, as I leaned against one of the houses in the neighborhood, I felt an unusual sensation best described as compression, coupled with a rhythmic vibration felt through my feet. Anyone who discredits, demeans and calls the affected turbine neighbors “crazy” hasn’t done his or her homework, in addition to being mean spirited. The homework is not difficult: stand in the turbine neighborhood for as long as I have and feel what happens to you. The sensations are real and disturbing. It is totally clear to me that I could not live within the radius of influence of the turbines, and I have no idea how the neighbors who are in the turbine area can sustain a healthy quality of life. Against the backdrop of what I have learned from personal experience with the effect of the turbines I see the Town of Falmouth trying to crush the residents impacted by the turbines. Let’s move on to sleep disturbance and sleep deprivation which is the bedrock of the area of medicine in which I have worked for 49 years! Sleep disturbance is not a trivial matter, even though it has been trivialized by the Falmouth Board of Health. Children with inadequate sleep perform poorly academically, emotionally and physically(they present a higher than normal incidence of physical illnesses). For ANYONE (athletes, truck drivers , ship operators, aircraft pilots, lawyers and physicians, et al) sleep deprived and fatigued, errors in judgement increase, accident rates increase, in addition to physical and emotional symptoms and cognitive impairment. In the world of medical observation all varieties of illnesses are destabilized secondary to inadequate sleep:diabetic blood sugars become labile and erratic, cardiac rhythms become irregular, migraines erupt and increase in intensity, tissue healing is retarded, to list a few across the entire range of physical illnesses. 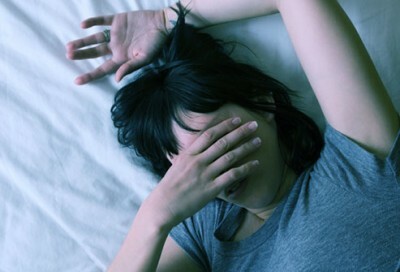 Psychiatric problems intensify as the sleep deprived brain decompensates; mood disorders become more extreme and psychotic signs and symptoms more severe. People with no previously identified psychiatric illness are destabilized by sleep deprivation. Sleep deprivation experiments have repeatedly been terminated because test subjects become psychotic; they begin to hallucinate auditory and visual phenomena. They develop paranoid delusions. This all happens in the “normal” brain. Sleep deprivation has been used as an effective means of torture and a technique for extracting confessions. I could work my way through 49 years of observing sleep disturbances and deprivation, but that is more than the scope of this letter. I am writing because I have witnessed Town of Falmouth officials and members of other boards trivialize symptom reports from people who are stalwart residents of the Town of Falmouth. I have witnessed attempts by town officials and other board members to discredit people whom I believe the wind turbines are hurting. Furthermore, all the Wind I neighbors I have examined are passionate about the need for sustainable energy in an effort to reduce fossil fuel dependence. I see no honest way for the ZBA to issue a permit for the Falmouth wind turbines. Basically, as I see it, the town installed commercial wind generating power plants in a residential neighborhood. ← Those with “Nothing to hide, hide nothing….Climate alarmists hide it all!